There really is no feeling like a good training session. You’ve taught the iron a lesson and you’ve smashed some PRs. You’re feeling pretty invincible and you deserve an early night to rest, recover and grow. But you’ve got that lingering feeling that something bad is on the way. The bit you hate, but no matter what you try you just can’t avoid… post-training muscle soreness. The aches and pains you get from your monster workouts. Or maybe it’s nothing to do with training – maybe you just get aches and pains that you just can’t put your finger on. Those niggling little bits of soreness that you just put down to old age. Could those aches and pains be down to low testosterone? Is the delayed muscle soreness the day after a mega session caused by male hormone deficient? 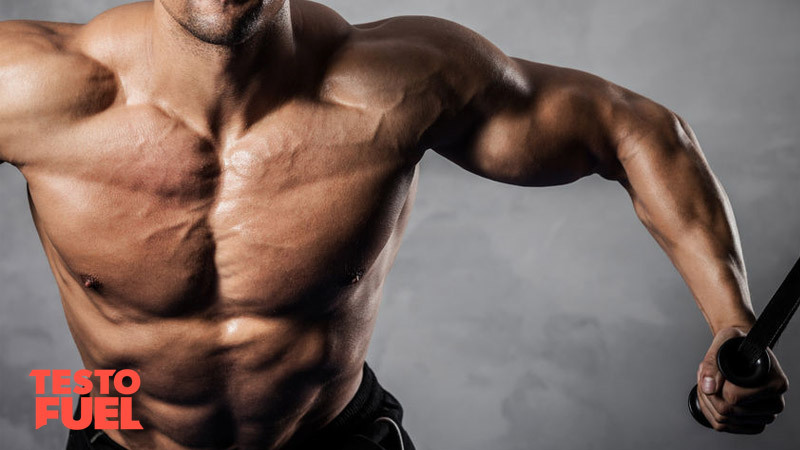 Testosterone (T) is a formidable, powerful, natural steroid hormone. It is produced in the testes and is a regulator of pretty much everything that makes you a man. From your broad shoulders and chiseled jaw, to your thick and muscular arms and imposing personality, testosterone covers it all. As you age though your T levels begin to taper off – by the age of 45 some men have clinically low T. And by 65 years, more than half will. You suffer from a loss of energy, general fatigue and a range of aches and pains. Testosterone itself is regulated by essential vitamins and minerals, with each one playing an intricate role in making sure you release just enough of the hormone into the bloodstream. And if you’re not getting enough of these nutrients, your T levels will fall fast. For your body to work optimally and your internal regulatory system to be as effective as possible you have to have the right nutrients. Vitamin D for example is a powerful vitamin that is often referred to as the sixth steroid hormone. You get it from the sun (if you are lucky enough to live in a hot, sunny climate) and some through your food too. But to really optimize vitamin D levels you need a supplement – especially D3 (cholecalciferol) which is the most potent form of the nutrient. Because D3 regulates and promotes muscle and bone growth, a deficiency could cause discomfort – especially pain, aches, cramps or numbness. Studies have shown that vitamin D3 speeds up recovery from muscle soreness in athletes, with 4,000 IU per day being enough to reduce recovery time, speed up microtrauma repair and decrease inflammation – by a massive 50% . Vitamin D is also important for testosterone production so it’s easy to see the link between all these key players. Much like vitamin D, a lack of magnesium is another reason you might be experiencing aches and pains. This essential mineral plays an important role in a number of bodily systems, but is pivotal in optimizing muscle and nerve tissue function. Magnesium has been seen to alleviate symptoms of soreness in a condition known as fibromyalgia – a disorder characterized by muscular aches, pain and tiredness. In fact, the aches can be so bad that they affect the ability complete everyday tasks let alone physical exercise. One study found that magnesium could inhibit or block pain-inducing nerve receptors such as NMDA and 5-HTA which can cause pain when activated . And again, magnesium is an important regulator of testosterone, with many studies showing that not only does a magnesium deficiency lead to muscle aches, but low T too . According to one clinical research paper, “testosterone appears to have an analgesic effect protecting against the development of painful conditions” . Those with disorders such as rheumatoid arthritis and other conditions of the musculoskeletal system have shown lower levels of androgens than normal – even in women. Testosterone and DHT (a derivative metabolite of testosterone) have been found to reduce symptoms of neuropathy too – pain caused by damage to nerves. In one study from the Journal of Endocrinology , balancing out hormone levels was found to reduce pain in a group of diabetics. And let’s not forget, low T is in itself a risk factor for diabetes and other metabolic diseases. Whilst natural nutrients found in test boosters can alleviate muscle aches and soreness by balancing out nutrient deficiencies and optimizing hormones safely, anabolic steroids (as well as some prescribed steroid medications) can have the opposite effect on aches and pains. Because anabolic steroids cause rapid muscle gain, they can have a negative effect on your ligament and tendon strength. 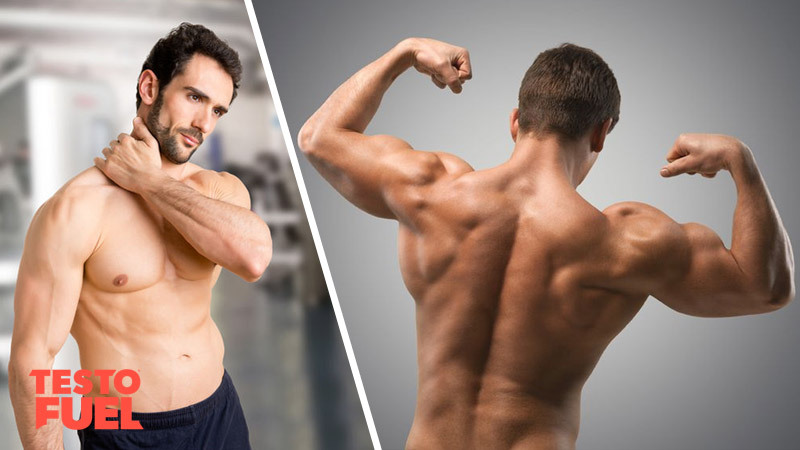 This is simply because the strength and size of the muscle begins to dominate its connective tissue and as such, your tendons can’t keep your muscles attached to the bone properly. And that’s even without factoring in the pain from regularly injecting into your body. Sites can become painful, swollen and infected if you are not careful. Not only are you at an increase risk of capsule tear or damage during a steroid cycle, you’re much more likely to suffer from intermittent cramps and aches too. The chances that you’ll suffer bone pain also increase dramatically as well. One such theory as to why this might occur is hypercalcemia – a higher than normal concentration of calcium in your blood. One case suggested that hypercalcemia caused by anabolic steroids can cause fatigue, musculoskeletal pain and weakness  and it was even suggested that the pain caused by anabolic steroids may be the reason why so many bodybuilders are choosing to take opiate analgesic medication. Making sure you have the right nutrients in your diet is the best way to optimize hormones such as testosterone. And together, these nutrients and this powerful hormone are an effective way of decreasing muscle aches and reducing soreness.